United Arab Emirate has an open economy with very high per capita income and a sizeable trade surplus. Successful efforts at economic diversification have reduced the portion of GDP based on oil and gas output to 25%. Yearly GDP growth in 2013 was 4%. Major industries include petroleum and petrochemicals, aluminum, cement, fertilizers, commercial ship repair, construction materials, textiles, fishing. The United Arab Emirates also has a large financial and service sectors. The UAE is also an established touristic destination. Expats moving to the UAE can anticipate a rich and rewarding experience. The country’s cosmopolitan cities are among the most Westernized in the Arabian Gulf, and its competitive business environment – bolstered by the added incentives of generous expat salary packages and no income taxation – has been drawing foreign professionals to its for many years. Close to three quarters of expats living in the UAE report better quality of life compare to their home countries and about the same percentage is satisfied with the current state of economy of Dubai. Expats in Dubai mainly work in banking and finance, insurance, Sharia compliance, construction, retail and services and tourism. Dubai has over the last decades truly emerged and made a significant global impact. 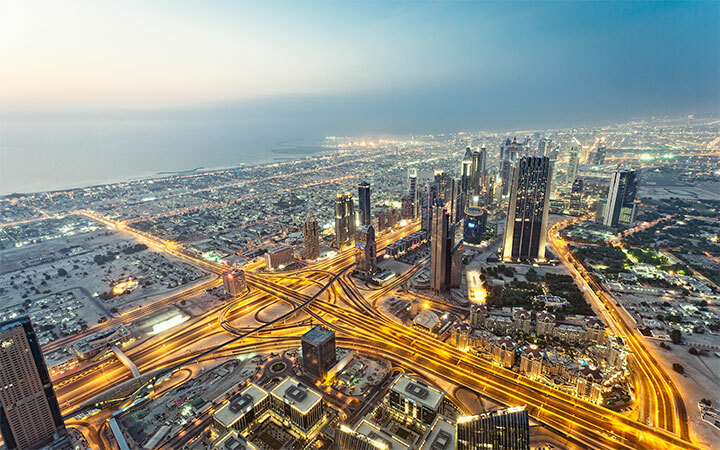 Dubai’s main source of revenue is no longer oil, it is a truly diversified and vibrant economy. Foreigners are allowed to purchase property and own land. Dubai is an international city that caters to the young and families also. It is a unique city that offers a lot to see and explore. Dubai boasts museums, film festival, art festival and sporting events. To experience a taste of traditional Emirati life there are plenty of souqs, desert safaris, dune bashing, camel riding and pear diving experiences for expats. Once a desert outpost dependent on pearling and palm gardening, this booming Emirate has grown tremendously in the last decade and has now emerged as an attractive destination for expats. A city very different from Dubai, unrevealing at a slower pace and often characterized as more of a family friendly destination and better suited for those looking for a slower pace of life. Abu Dhabi has great tax-free shopping opportunities and offers a growing number of cultural activities and entertainment. Saayidat Island has undergone major transformation to become a world-class cultural and entertainment hub. Expats on the weekend can choose from nearby locations including the magnificent Al Hosn Palace, Heritage village or Al Ain city. Expats have plenty of social events to choose from including weekly brunches, grill party gatherings or the yearly black tie events. United Arab Emirates is a federation of seven emirates: Abu Dhabi, Dubai, Ajman, Sharjah, Fujairah, Ras Al Khaimah, Umm al Quwain.